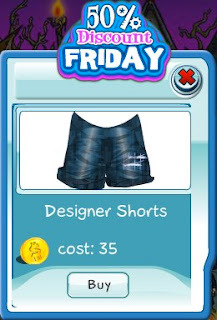 This week's 50% Discount Friday item are the Designer Shorts. Summer is almost here, so it's time to get these jean shorts for the warm weather. The discount is ends today, so get one now!